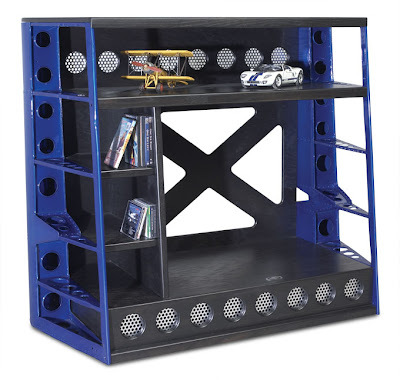 MotoArt takes old airplane parts and turns them into fashionable furniture. 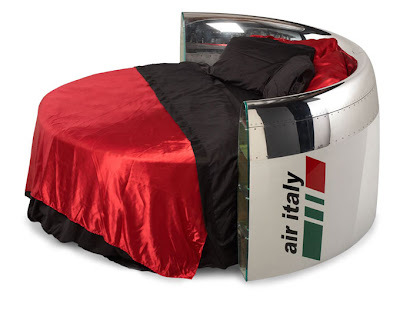 747 Jet Liner Bed: The 747 jet liner bed is made from an authentic 747 engine nacelle cowling as the headboard and it features an 84" diameter round mattress. 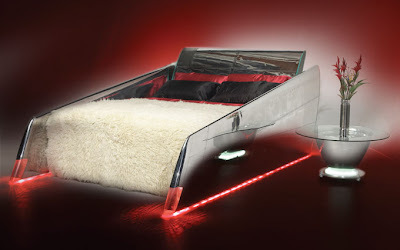 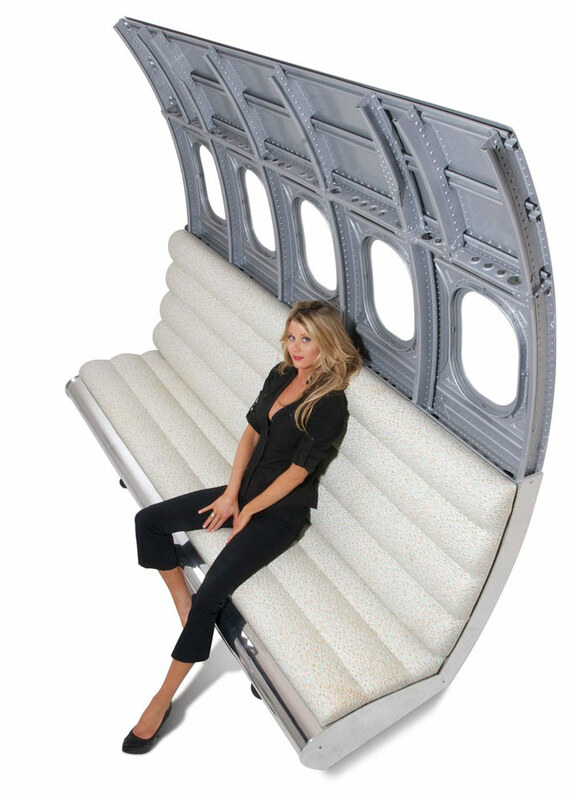 Mile High Bed: This bed is designed and fabricated from two DC-9 stabilizers and a C-130 inner flap. It measures 11' long x 7'-6" wide x 4'-6" high and the surfaces are sanded and mirror polished. 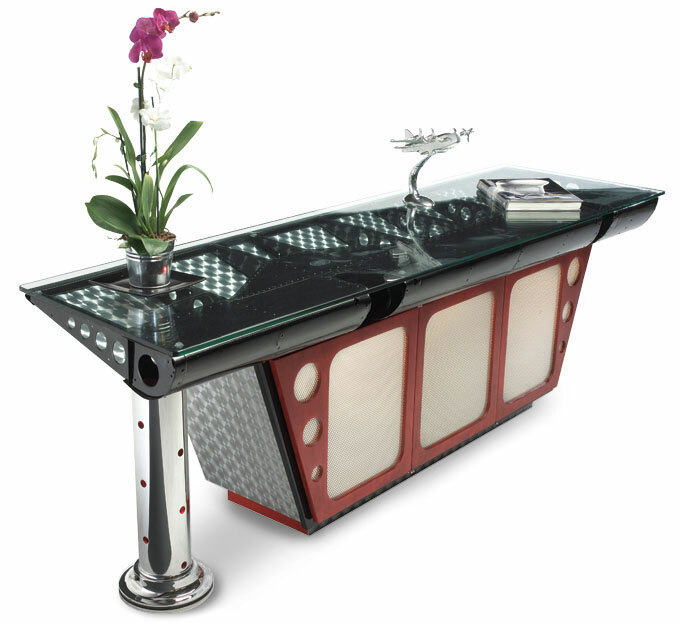 C-119 Credenza: Created using a C-119 Aileron and a Boeing 707 Damper Valve, it has custom wood cabinetry, turned aluminum laminate, internal illumination, topped with 3/8" polished edge tempered glass. 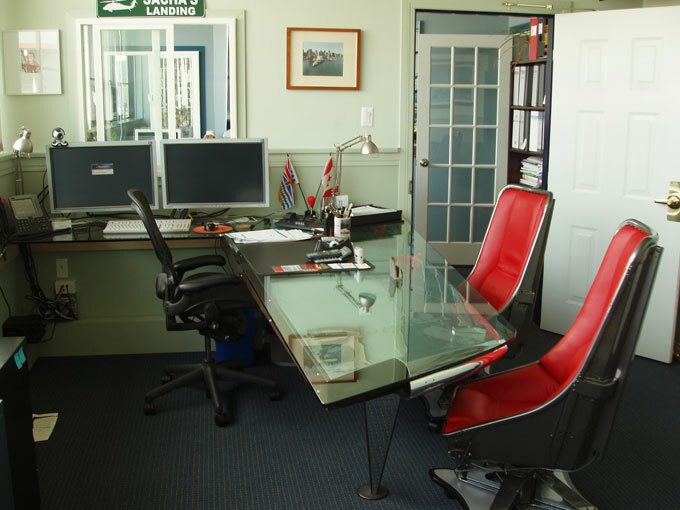 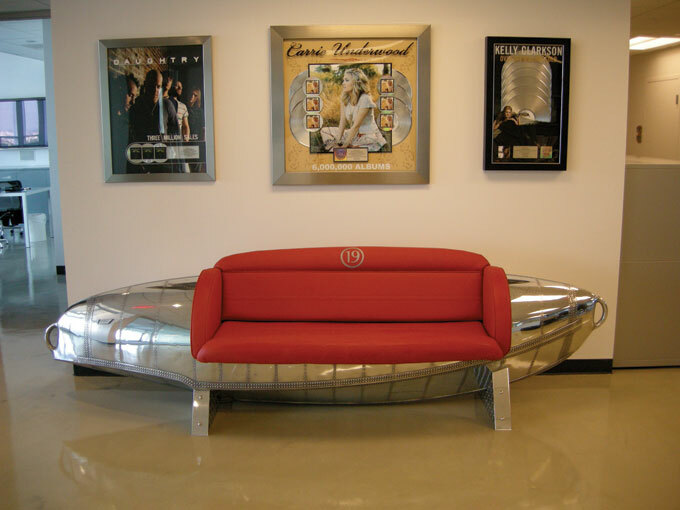 747 Cowling Reception Desk: Created using parts of 747 Jumbo Jet, this circular desk is 105" in diameter and the interior workspace is fitted with a hardwood surface and a 3/8" black glass work surface. 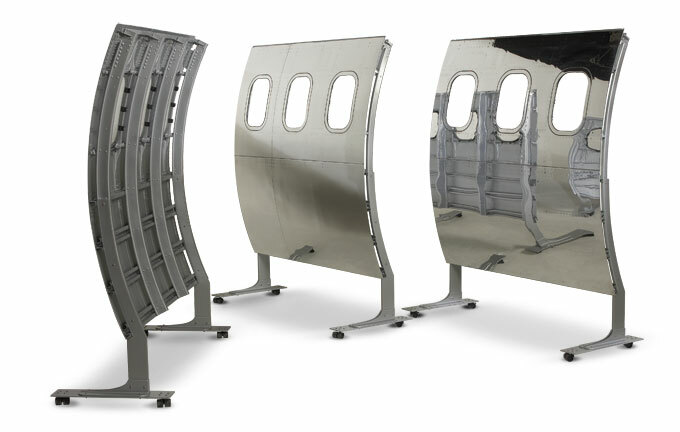 Fuselage Seating: These Fuselage Bench Seating is constructed from Boeing, Lockheed or Douglas aircraft fuselages; this stylish and elegant seating is cool to be showcased in any office or home. 737 Fuselage Casters: 'Roll a Boeing 737 Fuselage next to your desk for a little privacy. These 737 panels on casters are available in 5' sheets with low profile casters'. 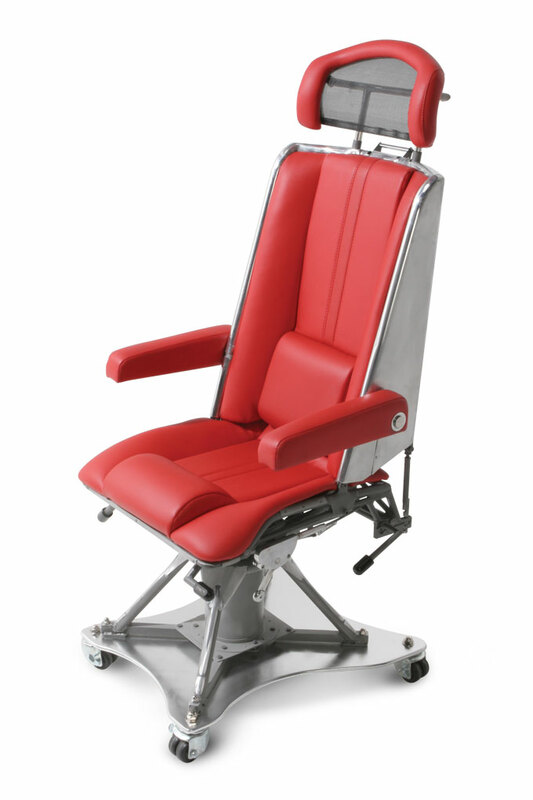 C-130 Navigators Chair: These are limited edition seats which are made, with red upholstery, anodized aluminum base plates and low profile casters. Albatross Couch: 'Designed with an Albatross Float Tank that has nautical lines with tons of rivet detail'. 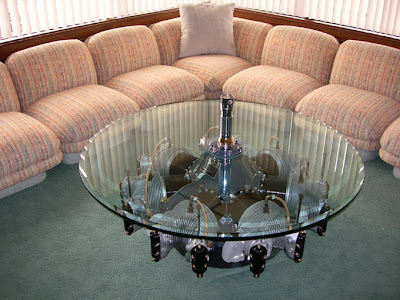 1930 WACO Wing Conference Table: This unique conference table is the ultimate in art deco design and long gone hand craftsmanship. 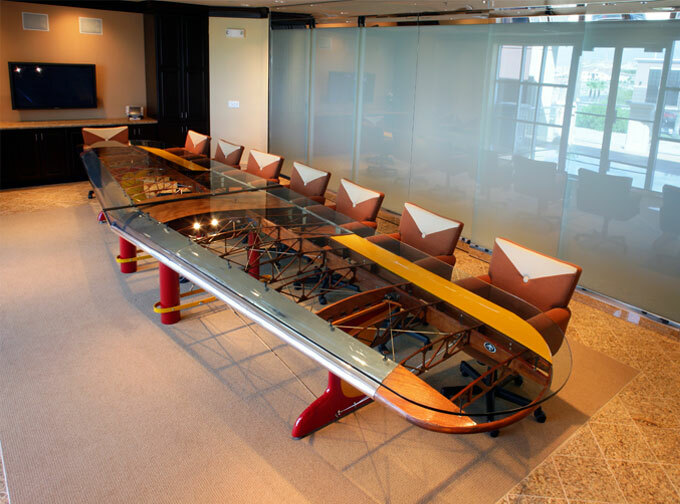 C130 Conference Table: It took 500 man-hours, two 24 foot-long full-length outer wing flaps of the C130 to create this one-of-a-kind table. 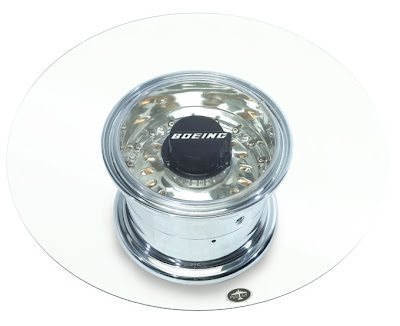 707 Wheel Table: This 'Boeing 707 Wheel Table' stands at 18" high and is topped with 3/8" tempered glass 40" in diameter. 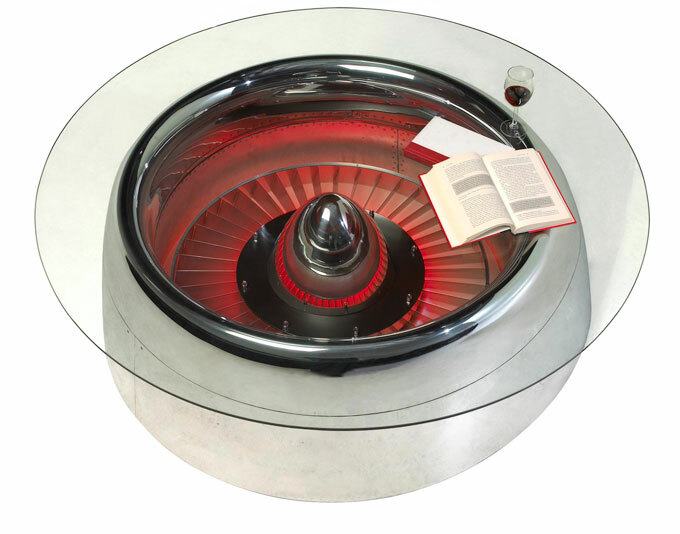 DC-9 Nacelle Coffee Table: This 'DC-9 Nacelle Coffee Table' measures 52" long x 49", is available in either round or oval glass tops and comes with an optional internal illumination. Continental Radial Engine Coffee Table: This '1930's Continental Radial Engine Coffee Table' is limited edition. C-119 Small Book Shelf: This cool bookshelf is created using C-119 aileron.